Olga Bell is a classically trained Russian-Alaskan-Brooklynite multi-hyphenate who has worked with Dirty Projectors and Tom Vek, and Krai is her exploration of the hinterlands. The word "krai" not only echoes the frontiers of her Russian homeland, but evokes the creative wilderness she finds herself in in 2014. In this sense, it may remind listeners of Kate Bush's audacious The Dreaming, and in a year when Kate-mania has returned, the association can only help Bell's cause. There are times when her cacophony of voices (she appears as a six-part vocal ensemble) sounds like Trio Bulgarka on Bush's The Sensual World and The Red Shoes. The resurgence of the Bulgarian-style choral sound — also found in Merrill Garbus's composition for New Amsterdam labelmates Roomful Of Teeth on their 2012 debut — is a welcome facet of early 2010s revivalism. Krai's standout track, the ambitious, slinky 'Perm Krai', is smooth fusion with art-prog and metal edges, like a chance meeting of Basia, Henry Cow, and Marnie Stern. 'Altai Krai,' with its spry tempo and subtle use of jaw harp, has the feel of a square dance. The 'everything all the time' aspect to Krai — the province of unsung artists who want to put all their heady ideas out there at once — makes it as exhausting as it is impressive. Bell's siren-like high alto almost never lets up, although she does get quietly throaty over the reluctant jitter of 'Stavropol Krai'. Her idiosyncratic vision, combined with the language barrier and a certain chilliness to her approach, makes Krai a little standoffish. While indie acts like Pomplamoose plead for love, attention, and pats on the head, Olga Bell seems disinterested in how her difficult, foreign-tongued concept album will play in Peoria. 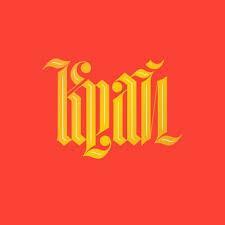 Krai's nine tracks are compositional, if hesitant to delve into conventional songwriting. However, Bell's aptitude for melody does emerge in bursts among the flurry of Rhodes electric piano in 'Primorsky Krai' and the machine-gun percussion of 'Khabarovsk Krai' (Bell's use of the short-a sound as punctuation on this latter song's phrasing recalls her Dirty Projectors bandmates on their 'Gun Has No Trigger'). The album ends abruptly, mid-passage, during the 2:36 'Kamchatka Krai' — we barely get to make sense of the changing tempos, piercing guitar lines, and ecstatic vocal swoops, and the sudden silence is a thrilling sort of mic drop. One can imagine Bell walking away from Krai, already on to the next flight of imagination before the inevitable accolades have had a chance to flow in. Still, as great and intriguing and perplexing as Krai is, the lack of a real performer-audience connection may keep fans from regarding it as a true classic.